Jenn is a proud Asian American feminist, scientist and nerd who currently blogs at Reappropriate.co, one of the web’s oldest AAPI feminist and race activist blogs. She was recently featured as one of the Frederick Douglass 200 — a project of the Frederick Douglass Family Initiative and the Antiracist Research and Policy Center at American University — for her work as an Asian American feminist. She has previously contributed her writing to Teen Vogue, Change.org, Asian Pacific Americans for Progress, Asian Americans for Obama, The Nerds of Color, Quartz, and Angry Asian Man. A full list of her published writing can be found here. Jenn can currently be found at Reappropriate, as well as on Twitter at @Reappropriate, and on Facebook. Jenn is available for booking for speaking engagements through speaking engagements. Please direct all inquiries to this contact page. 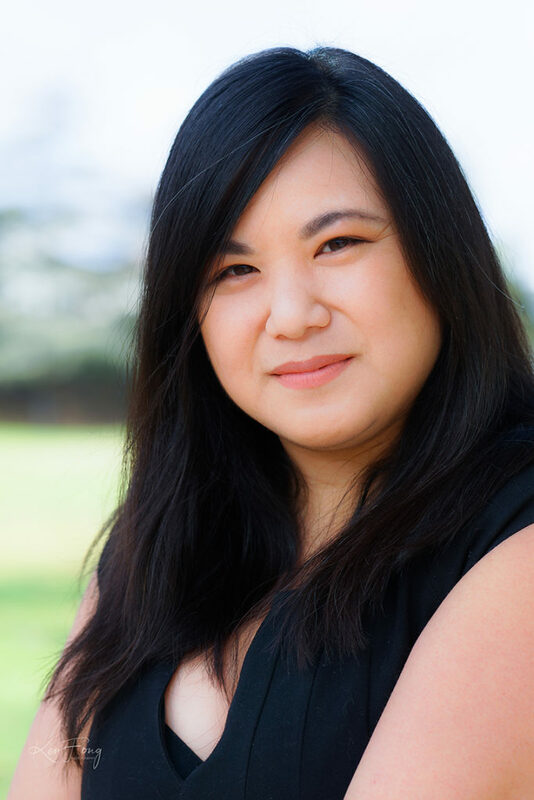 Through her blog, [Jenn] advocates for racial and gender equality, especially focused on Asian American feminism. Fang started her blog to create a space that shares Asian American history, culture, and perspectives with other Asian Americans and with the world. She is a leader and mentor, empowering women to use their voice loudly and freely, and “live our lives unapologetically”. Are you the only person who writes for this blog? Can I blog for Reappropriate? Currently, Reappropriate remains a personal blog where I create the vast majority of the writing. However, as this site becomes more widely read, I feel motivated to share this platform with emerging AANHPI writers. As such, I invite guest submissions to the blog. Accepted pieces receive minimal (mostly stylistic) editing from me prior to publication. Publication of a guest piece does not necessarily mean that I endorse or condone the contents of that writing. Are you on Facebook or Twitter? Can I follow you / add you as a friend? You can follow me on Twitter at @reappropriate or like my facebook page at facebook.com/reappropriate.co . The purpose of these accounts is to notify folks of new blog posts, and for me to post things that I don’t have time to write extensively about. You claim your blog has been around since December 2001, yet your archives only go back to September 2009. what gives? Reappropriate was originally hosted at a .com domain, but unfortunately due to a mix-up with billing for my domain registration, I lost the domain (and eight years’ worth of archived posts) in September 2009. Your piece on Elliott Rodgers was terrific — especially the parallels you drew to patterns of behavior in the Asian American community. I am an Asian American male and I strongly support this blog. Hi Jenn – thank you so much for creating a space that allows for discourse of this kind to take place. I truly enjoyed your piece on Elliott Rodgers, although I do have issues with the fixated obsession on ‘redefining masculinity’. I would love to chat with you on more issues if you have time! Love – Jenny. Hey Jenny – would love to chat more! Feel free to contact me on Twitter, Facebook, or by email! Or, here is good too! Hi Jenn, just discovered your site through your Elliot Rodger piece, and wanted to write and say how much your discussion of misogylinity resonated with me. I used to keep a popular-ish blog about Asian-Western relationships (I’m a non-American Asian)… and let’s just say I had no idea what I was getting myself into. The increasing number of hate-filled comments and threats (with the usual misogynistic name calling) eventually wore me down, and I shut down my blog over a year ago. I couldn’t do it anymore, and so I really admire you for being able to; for keeping this blog going because you believe in it and the issues discussed. The guy on your banner does not look Asian. Also, he’s creepy. You might wanna change it. That is vampire Jubilee, she is a woman, and that banner was well received when it was first launched. Sorry, not going to change it; I happen to love it. Women? Yeah I guess most women are now men so….I’d def change it. Kookamungus, you were already warned about not upvoting your own comments. I’m sorry — you have been removed from this site for failing to abide by the site’s comment policy, specifically for abusing Disqus comment features. Came here to tell you how awesome that art is! I love how you can tell the character she’s asian and its not hyper-sexualized. Your site is wonder keep up the good work! Thanks Iris! The art is courtesy of the extremely talented Alison Roberts! Thanks Stephen — sorry I missed your comment from a year ago. Thanks for this!